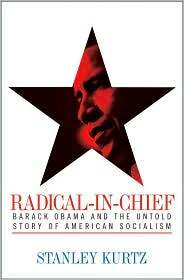 This post continues the series of chapter summations of Radical-In-Chief by Stanley Kurtz. Today we cover the mid portion of Chapter 6. President Obama had a close working relationship with ACORN. Their affiliation came naturally. Their objectives and methods were the same, their constituency was the same and they both focused their activities in Chicago. Obama’s alliance with ACORN arose from his choice of “asbestos” as the issue over which to organize and his selection of the Altgeld Gardens Housing Project as the place to do it. Altgeld also was the focus of the Chicago arm of ACORN. Their program was called ATU (Altgeld Tenants United). The issues that ATU was working weren’t as productive as the asbestos issue that Obama had chosen, so ACORN’s ATU joined forces with Obama’s DCP and they worked together. Barack Obama worked closely with ACORN from the very beginning. Housing was the major focus of ACORN’s work from 1992 to 1995. During this period, Barack Obama was supporting ACORN with money from the two foundations on whose boards he sat. Obama also personally trained leaders for ACORN and represented ACORN in a lawsuit relating to the “Motor Voter” bill. Filing actions against banks for failing to “meet the needs of the community” asmandated by the CRA. Establishing an ACORN Housing Corp to acquire distressed properties from banks. Selling houses to “homesteaders” with ACORN keeping title to the land. Requiring homesteaders to attend at least 5 demonstrations against the banks. The Chicago Tribune called the program “affirmative-action lending”. But there was a line below which the banks could not go. That line was the standards set at the time by Fannie Mae and Freddie Mac. These two GSEs (Government Sponsored Entities) supplied the money for the loans. ACORN knew they would need to get their standards lowered. Charges of racism would not work here, but working through the political system might yield results. ACORN was “informally deputized” by the Chairman of the House Banking Committee to draft affordable housing rules that became the foundation of the Federal Housing Enterprises Financial Safety and Soundness Act of 1992. The new law imposed quotas on the GSEs that could only be met by lowering their credit standards. When I ran Project Vote, the voter registration drive in Illinois, ACORN was smack dab in the middle of it. Once I was elected there wasn’t a campaign that ACORN worked on down in Springfield that I wasn’t right there with you. Since I have been in the United States Senate, I’ve always been a partner with ACORN as well. I have been fighting with ACORN, along side ACORN, on the issues you care about my entire career. The only involvement I’ve had with ACORN was I represented them alongside the U.S. Justice Department in making Illinois implement a Motor Voter law that helped people get registered at DMVs. When ACORN launched the voter registration drive called Project Vote, Obama was appointed director for the state of Illinois. The members of his steering committee were ACORN’s Chicago chief Madeline Talbott, the head of SEIU Local 880 Keith Kelleher, the Rev. Jeremiah Wright, Father Michael Pfleger, Midwest Academy leader Kim Bobo and 17 lesser known individuals from the Chicago area. The primary players in Chicago’s Project Vote, in addition to Obama who directed it, were the SEIU and ACORN, effectively one organization in Chicago. Although they had separate phone lines they shared the same headquarters, the same staff and participated jointly in demonstrations. The campaign against the banks ran full steam in conjunction with Obama’s Chicago Project Vote. This entry was posted in Book Reviews and tagged ACORN, Altgeld Gardens, Community Reinvestment Act, Jeremiah Wright, motor voter, Obama, Project Vote. Bookmark the permalink.